The passing of an historic figure like Supreme Court Justice Antonin Scalia can trigger a series of events of interest to those who are trying to improve their critical-thinking skills. For example, when I teach critical thinking skills I tend to channel my inner Jay Heinrichs by explaining that most political arguments are either forensic (designed to determine what happened in the past — often to lay blame) or deliberative (which argue for a preferred future alternative). But a third type of argumentation —demonstrative (which focuses on the present) only tends to take place in formal events such as graduation speeches, sermons or funeral orations. If we ignore informal critiques of the recently deceased Justice (such as hostile tweets and Facebook postings), most public statements made by statesmen and fellow legal professionals offered detailed and colorful admiration for Scalia. Even those who disagreed vehemently with everything Scalia stood for were fulsome in their praise, highlighting the intelligence and skill that made him such a formidable opponent. No doubt it is much easier to be generous with compliments once a foe is no longer around to continue to oppose you. But this just illustrates the benefit of the demonstrative funeral oration since it tends to give those whose mind might otherwise be clouded by bias a moment to reflect more deeply on someone holding an opposing point of view. 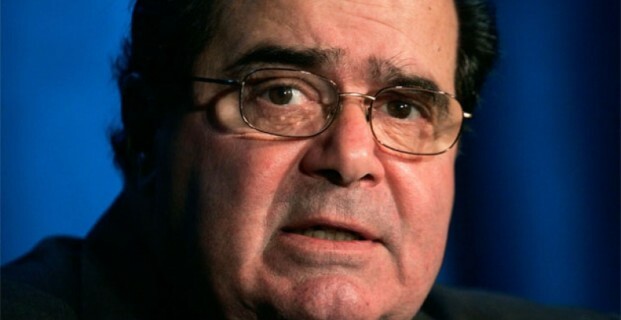 In the case of Scalia, that praise focused on the depth of his legal knowledge, the power of his arguments and the skill of his writing which deployed not just logos(logical appeals built on facts and precedents) but also pathos (emotion) and ethos(connection to others) which came out in legal arguments that were not just smart but colorful, moving and relevant. Even if you may still violently disagree with everything the former Justice ever said and did, you can learn an important second lesson from the aftermath of Scalia’s passing. For his influence derived entirely from his ability to create and communicate powerful arguments that were both convincing and compelling. So regardless of whether the points you want to argue agree with Scalia’s or contradict his beliefs in every way, you should keep in mind the important lesson that effective argumentation gives those who do it skillfully the ability to change the world. Unfortunately, most coverage of the Scalia story quickly moved from celebrating the man to arguing over the aftermath of his passing. It is beyond the purview of this blog to dive into the political debate over whether or not a (Democratic) president has the right to select the next Supreme Court Justice unimpeded, or whether the (Republican) Senate has the right to block an appointment until a new man or woman sits in the Oval Office. But if we can leave it to others to debate law and politics, those of you reading this piece can appreciate another importance principle central to a debate that will be heating up the airwaves over the next several months: consistency, an issue that we will turn to next time.